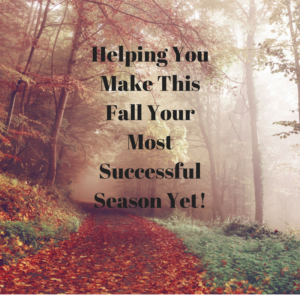 This fall is a transitional season where you start preparing for the upcoming Christmas season (yes, although it is 3 months away!). I have written two articles to help you with preparing then promoting your store for the holidays. Before you even start thinking about holiday selling, are you prepared? Do you have the inventory and infrastructure to meet the needs of all of these potential clients? Do you have a customer avatar? These are important questions that must be answered. I have answered them and given ways to ensure that your store is prepped for the upcoming Christmas season. After you’ve prepared yourself, now you need to promote your store for the upcoming holidays. Here are my 5 ways to increasing your traffic and conversion rates. Regardless if you’re a personal brand or a business brand, upholding your brand promise is indispensable towards making this fall season a success! Remember integrity is everything! Finally, video is big! Right now video has higher conversion rates than any other medium. As a professional and business owner, I have used video as a way to convert into interviews (corporate America) and eBay sales (entrepreneurship). Here is my How to Set Your Facebook Live on Fire article which will help you improve your video presence, content, distribution and repurposing video onto other media. End of the Summer Sale Continues the Rest of This Week! Need additional help ending your year on a positive note? Visit www.carlarjenkins.com/shop for the best products and services to reclaim your lost time and accelerate you to the finish line. You want to be able to look back on December 31st, 2017 and say that because you’ve decided to invest in yourself today that the end 0f 2017 is much better than the beginning of 2017.